One of the most popular models in the Arc 4 line, the Panasonic ES-LA63-S is an electric shaver that seems to get almost everything right. Moreover, the price has seen massive drops since the shaver’s introduction back in 2011 and can often be found at a great price. But before going right ahead and buy it, you should know that it comes with a few cons as well. After all, no electric razor is perfect. In this review we’ll take a close look at what makes the Panasonic ES-LA63-S Arc 4 a great shaver, while also highlighting the negative aspects. Finally, we’ll take a quick look at some alternatives from Panasonic and Braun. Wrapup — who should buy the ES-LA63-S? 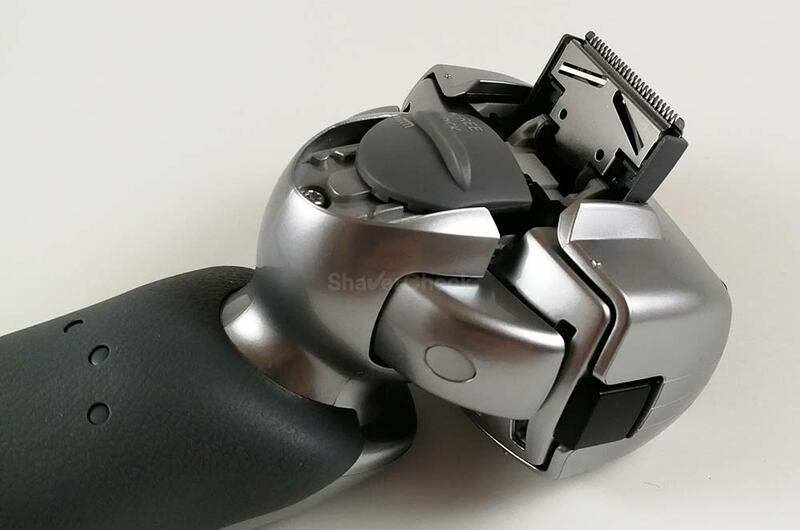 I try to avoid getting too hung up on specs, so I’ll just briefly go over the most important features of the ES-LA63-S.
As the Arc 4 name suggests, the Panasonic ES-LA63-S features a shaving unit comprised of 4 slightly arched cutting elements. While it has one less blade compared to the range-topping Arc 5 models, 4 blades are still easily enough and even overkill in some cases. It’s the same setup you’ll find on the other Arc 4 models, even though the replacement blades & foils combos can be different. As usual, there are only two removable inner blades (corresponding to the outer foils), while the other two are integrated into the foil assembly (the finishing foil and the slit foil). 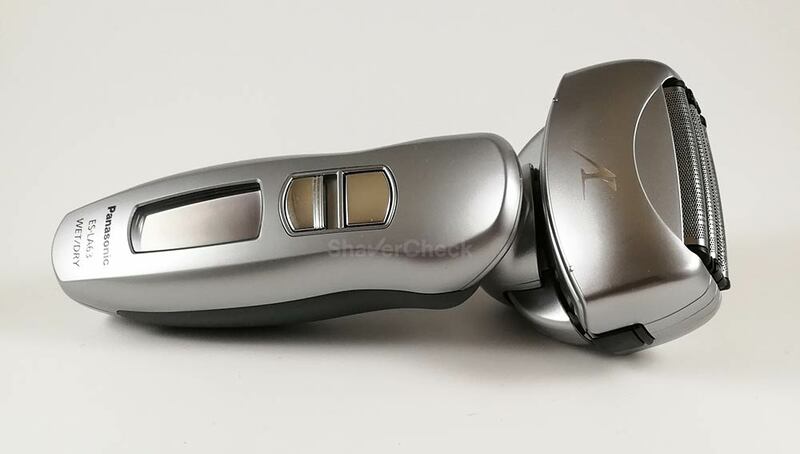 For this razor Panasonic used their trademark 30-degree nanoblades made out of high quality, hypoallergenic stainless steel. The aggressive 30 degrees bevel ensures an efficient and clean cutting action. Panasonic uses for most of its Arc 4 (and all of the Arc 5) shavers an industry leading 14 000 cycles per minute (CPM linear-drive motor. 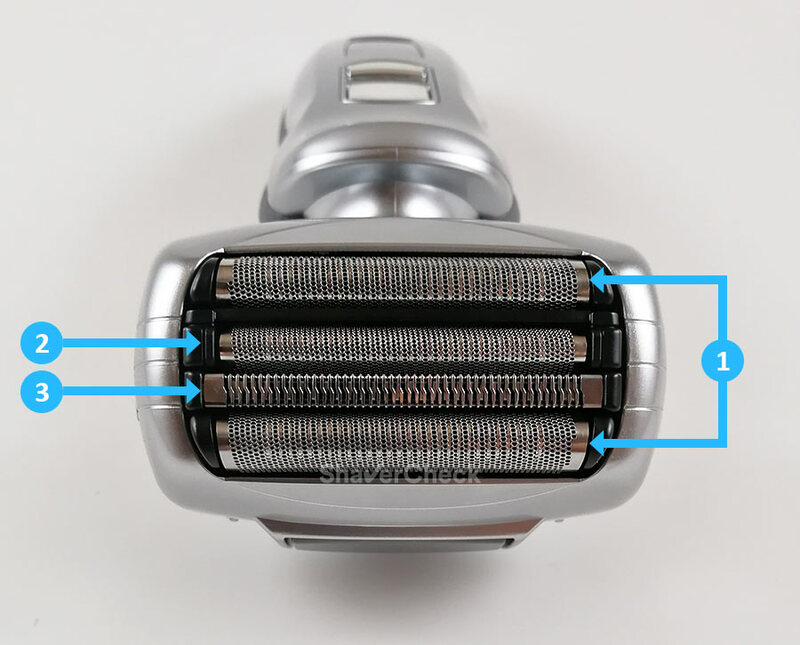 This is the unit with the highest power output ever fitted to an electric shaver. The result is an outstanding performance, the ES-LA63-S being extremely fast and capable of shaving very coarse facial hair with ease. This feature is specific to this model and to the ES-LA93-K Arc 4, which is an identical razor that also includes an automatic cleaning station. This motor is placed inside the shaving head itself and it makes the foils vibrate and supposedly capture more hairs. During use you can really feel this vibrating motor at work; there’s a noticeable, but very discreet tickling sensation when holding the foils against your face. The sound it produces is also different compared to other Panasonic shavers that lack this feature: it has a lower pitch and you can actually hear the humming produced by the vibrations. We’ll see how well this works in the performance section of the review. The shaving head of the ES-LA63-S can move freely on two axes: up and down and left to right. It can also be locked in a fixed position via a switch located on the back of the shaving head. This is useful when shaving tight areas like right above your upper lip where more precision is needed. As most electric shavers, the ES-LA63-S includes a pop-up trimmer. It is located on the back of the shaving head and sits perpendicular to it when fully extended. The trimmer is operated by the same switch used to lock the shaving head. Other noteworthy features include: cordless wet/dry use, travel lock, a useful LCD display and an automatic voltage converter. With the specs out of the way, let’s get down to business and put the ES-LA63-S Arc 4 through its paces. I’ve tested more shavers from Panasonic throughout the years than from any other brand and for the vast majority of them, the build quality and construction were excellent. In fact, I would go as far as saying that Panasonic is currently the best out of all major manufacturers in this regard, with the latest Arc 3 and Arc 5 iterations setting a new benchmark for build quality. However, despite being an older model, the ES-LA63-S can easily compete with other shavers in this price range for having the best build quality. I’m talking about Braun’s Series 5 and 7 and Norelco’s Shaver 8900. The ES-LA63-S looks very imposing and expensive and in my opinion the official images don’t do it justice. A far departure from the usual blue or aqua color schemes, the razor looks very stylish in this glossy silver treatment. 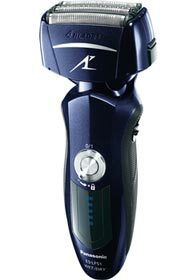 The blue LCD screen complements its aesthetics very well and further adds to the high-quality feel of the shaver. The body is entirely made out of plastic, but unlike the Series 9 from Braun for example, it doesn’t feel cheap at all. Surprisingly, the glossy silver finish does a great job at repelling fingerprints and smudges. The construction is very solid and oozes quality, particularly the shaving head with its impressive craftsmanship. Again, I think Panasonic does this better than the other big names in the industry. The shaver feels great in the hand, being surprisingly lightweight for its size. Despite the large shaving unit, it doesn’t feel top heavy at all and it’s perfectly well balanced. The girth of the handle is just right and together with the dark grey rubber it ensures an excellent grip. I would have liked however to see the grippy material extend more to the sides toward the front part as your fingertips tend to naturally rest precisely where the rubber material ends. The shaving head is massive. 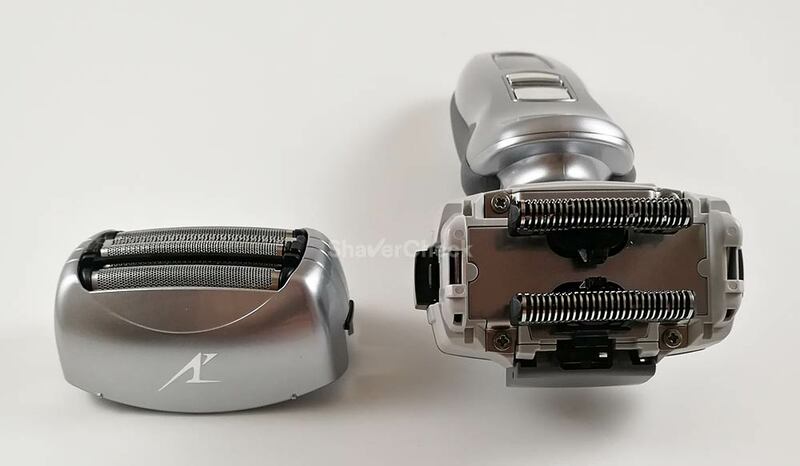 While the actual surface of the foils is the same as on other Arc 4 shavers, the head itself seems unnecessarily large. I guess one could argue that the engineers needed more space to accommodate the vibrating motor. While I got used to its proportions, I will say however that even an ES-LF51-A Arc 4 that also has 4 blades feels more nimble. The shaving assembly of a Braun Series 5 or 7 is a lot more compact as you can see below. This can make shaving a bit challenging for a beginner or for someone who hasn’t used such a large shaver before. 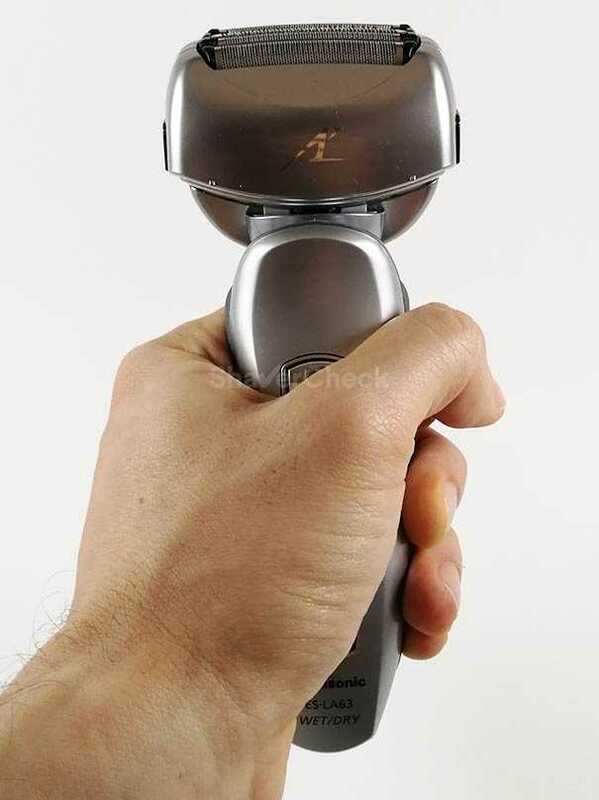 On the front of the shaver there’s the ON/OFF button that has a mirror finish and is very easy to operate. I don’t particularly care for the shiny treatment, but it is what it is. Right below it you’ll find the travel lock switch. Sliding it up will physically prevent the power button to be pressed. If I were to nitpick, I’d say that it is a bit difficult to operate if your hands are wet. It does however have two grooves where you can place your fingernail and slide it up or down. The circular switch found on other models like the ES-LF51-A or the ES-LV65-S was a more elegant implementation, but again, it’s not a major issue. Different travel locks on two different Arc 4 models. Further down there’s the LCD screen that shows quite a bit of useful info, like the time elapsed since you started your shave, battery charge status, cleaning reminder and when you need to replace the foils and blades. On the back of the shaving head you’ll find the popup trimmer and right below there’s a multi-purpose slider with 3 positions. In the first one, the shaving head can move freely, helping the foils remain in contact with the skin. In the second position, the head is fixed and can’t be moved sideways nor up and down. Moving the slider into the third position will extend the trimmer while keeping the head locked in the fixed position. 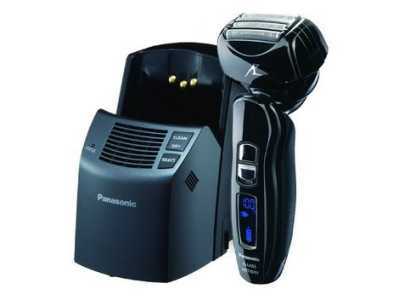 This implementation is also present with the latest Arc 3 and Arc 5 shavers from Panasonic. 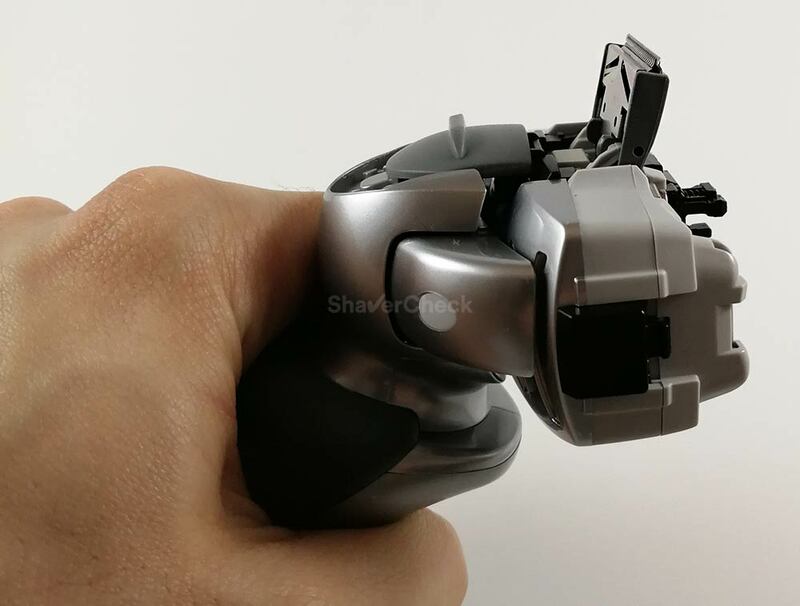 While I like the idea behind it, operating the slider feels a bit jerky and the shaving head must be relatively centered or you won’t be able to move the slider from the free to the locked position. The ES-LF51-A for example uses a slider for extending the trimmer and a dedicated switch on the side to lock the shaving head. While not as elegant, this solution seems to work better and is less prone to breaking. Again I think this is rather nitpicky, but I had to mention it. Overall, the Panasonic ES-LA63-S doesn’t disappoint and really impresses with its excellent build quality and aesthetics. As you can tell, the bundle is pretty basic. I would have liked to see at least a cleaning brush included or a small bottle of lubricant. The ES-LV65-S Arc 5 for example comes with those accessories as well. The charging cord is longer than what comes with most other shavers, so that’s definitely a good thing. Depending on where you buy your unit, the brick can come with a USA or a European plug. The travel pouch is the typical Panasonic faux leather case. While it is useful, it doesn’t offer the same protection as a Braun hard case for example. There are some third-party options as well that you can get at a reasonable price. All current Panasonic electric razors are suitable for wet/dry operation and as a result, you can only use them cordless. The ES-LA63-S is fitted with a rechargeable Li-ion battery that will get you around 45 minutes worth of shaving time. During my tests with the ES-LA63-S, I found this claim to be pretty much on point. Charging the shaver to 100% only takes around 50 minutes. The LCD display will show the remaining battery charge in 10% increments. There are also 5 segments in the bottom part of the LCD panel, each one corresponding to a 20% charge. The bottom one is only used to signal a low battery by blinking. When you turn on the shaver it will start a counter and display it for 5 seconds, then the LCD will turn off. After completing your shave and turning the shaver off, the display will show the duration of the shave and alternatively the remaining battery percentage. It will switch between them two times, then turn off. Let’s now get to the part that really matters in our Panasonic ES-LA63-S review, the actual shaving performance. So how good is the ES-LA63-S? In fact, it’s one of those few shavers that I can confidently recommend in an instance. Yes, there are few gotchas and I’ll address those as well, but as a whole, the ES-LA63-S is a very capable and very compelling electric shaver. As usual, the performance section of the review will address several distinct key areas and we’ll start with the closeness. I always have high expectations with regards to closeness when testing Panasonic razors and this one delivers as well. 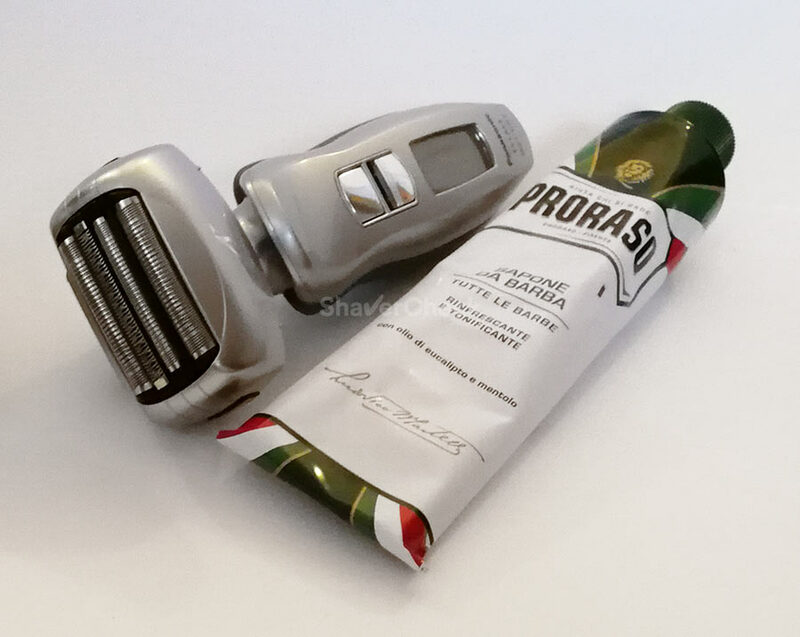 The high-quality blades, the arched profile of the very thin foils that allows optimum contact with the skin, along with that punchy motor work together to ensure the closest shave you can get at this price point. The direct competitors of the Panasonic Arc 4 family are Braun’s Series 5 and 7 and Norelco’s 8900 shavers. When it comes to closeness, the Arc 4 manages to be better than all of them. In fact, I would go as far as saying that it’s slightly better even than the range-topping Series 9 from Braun. Again, we’re talking strictly closeness. I tried the ES-LA63-S both wet and dry and the closeness was excellent every time. I will admit that using a shaving cream improved the results, especially on the area right above my upper lip where I have particularly thick and dense stubble. An Arc 5 like the ES-LV65-S was just slightly better, but the differences were marginal and I may simply be biased toward the high-end model. I think anyone will be perfectly satisfied with the closeness of this Arc 4 model and you should really consider it if getting a close shave is high on your priorities list. The shaving head is bulky and can be harder to maneuver around tight areas compared to other shavers. My ES-LF51-A, despite having the same 4 blade setup, feels a lot more nimble when shaving my mustache area or right below the jawline. It will take you some time to get used to the ES-LA63-S if you’ve only used more compact razors. 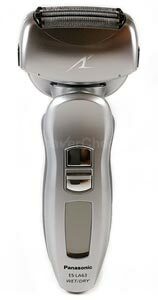 The comfort of the shave is another important aspect to factor in when buying an electric shaver. I would say that the ES-LA63-S is slightly better in this regard than other Arc 4 shavers I’ve used before, but it’s still not as good as some of Braun’s offerings. This could very well be a direct consequence of that excellent closeness. The foils get a bit warm after a prolonged use, but not to the point where it would cause serious discomfort. If you don’t have very sensitive skin, the ES-LA63-S should be adequately comfortable. The key is not pressing too hard as it will bite back. The only area where it felt a bit harsh was unsurprisingly my neck and this was more noticeable during a dry shave. For the record, I do have sensitive skin and the neck is a problem area for me. There are a few things you could do to improve the comfort, like using a pre-shave lotion or, even better, a shaving cream. Again, if you don’t have particularly sensitive skin, you should be just fine using it dry as well. The second motor inside the shaving head causes the foils to vibrate and you can definitely feel this on your skin. I tried using it alongside the ES-LF51-A Arc 4 and in this regard they do feel different. These vibrations supposedly help the ES-LA63-S capture more of those pesky flat lying hairs compared to other shavers. With an emphasis on closeness, Panasonic razors never excelled at shaving longer beards, particularly if you have lots of wiry, flat-lying hairs that grow in different directions. With the ES-LA63-S Panasonic tried to address this by fitting a second vibrating motor inside the head. I didn’t find this to significantly improve the performance compared to other Arc 4 shavers that lack this feature. As a result, shaving a three days beard can be more tedious as the shaver can leave behind a few hairs that grow parallel to the skin. Trying to repeatedly go over those stray hairs won’t help either and I had to get them with the pop-up trimmer. Again, this only happened when shaving my neck after 3 days of growth or more. In the case of short stubble, this was not an issue. 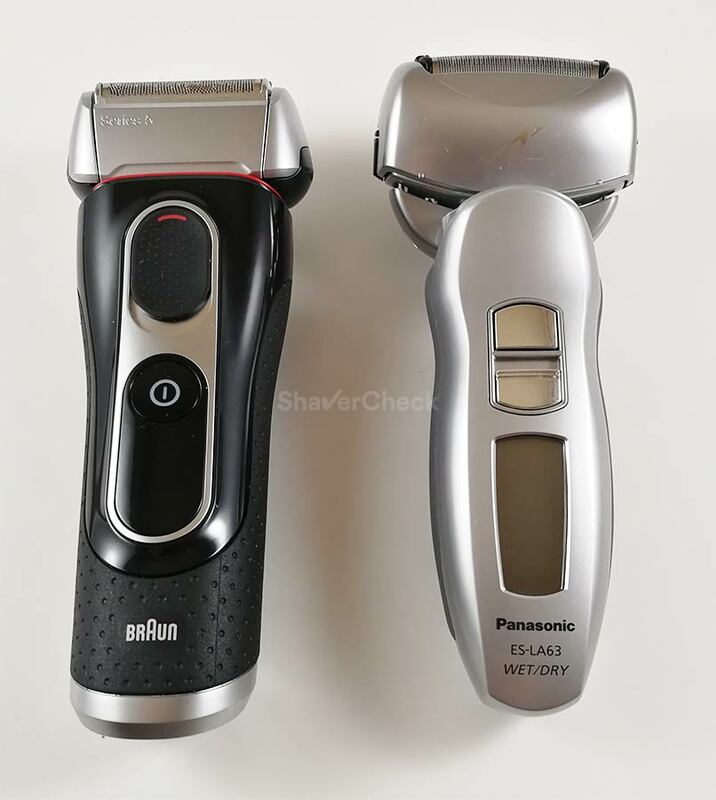 If you tend to shave less often, like every two to three days and have this type of problem areas, with flat-lying hairs that grow in different directions, the Panasonic ES-LA63-S may not be the best choice at this price point. The problem is with capturing the hairs and a Braun Series 5 or 7 or even a Philips Norelco 8900 will do a better job. The Panasonic ES-LA63-S performs amazingly when used for wet shaving. The comfort is top notch and the closeness is improved as well. Panasonic shavers in general shine when used with shaving cream or gel and if you’re into that, the ES-LA63-S will not disappoint you. The problem with shaving flat-lying hairs is still there though. The trimmer on this shaver is one of the best I’ve ever encountered on an electric shaver. The positioning is perfect this time, being very close to the top of the massive shaving head. Moreover, if you remove the foil frame and the inner blades, you’ll get an ideal setup that allows you to actually see what you’re doing. The trimmer itself is adequately wide, very sharp and cuts the hairs close to the skin. It’s miles better than the ones on the Braun Series 5, 7 and 9 for example that simply feel dull. As mentioned earlier in the review, there’s also a variation of the ES-LA63-S called ES-LA93-K that comes with a cleaning station. That particular cleaning station is Panasonic’s older Vortex Hydra cleaning system that runs off detergent cartridges. The current systems require the detergent concentrate to be manually mixed with water in the station’s tray. You can very well go for that particular Arc 4 model if the cleaning station is a must-have for you. I don’t consider it to be necessary as the ES-LA63-S is extremely easy to clean manually. 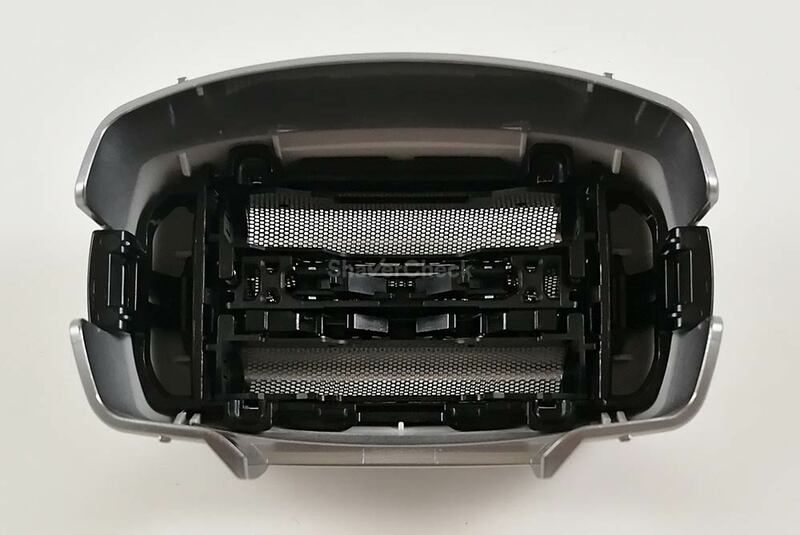 Since the inner blades are exposed and separated from the foil block, the shaver can be thoroughly cleaned using hot tap water and a bit of liquid soap. Since the inner blades are not part of the foil block, you have great access to remove any hair strands and dirt trapped inside. I recommend the use of liquid soap, but if you shave dry you can probably use soap only once or twice per week and just clean your ES-LA63-S with water for the rest of the time. If you shave with cream or gel, then a thorough cleaning with soap is mandatory after every use. The cleaning process is very simple and straightforward. After completing your shave, press the two tabs located on both sides of the shaving head to release the foil frame. Tap the bottom of it gently on your sink to get rid of the hair clippings trapped inside. For a quick clean you can simply rinse the shaving head with the exposed blades and the foils under hot tap water and just let them air dry. We will however be performing a thorough cleaning. Snap the foil frame back on the shaver, pour a bit of water on it, then place a few drops of liquid soap on the foils. Press the ON/OFF button for at least 2 seconds to activate the sonic cleaning mode. You’ll notice an increase in the pitch as the blades will start to oscillate extremely fast. The sonic cleaning mode is also signaled by a symbol on the LCD panel. After 20 seconds the razor will turn off automatically. You can do it sooner by pressing the power switch. Remove the foil frame and rinse it with hot tap water. 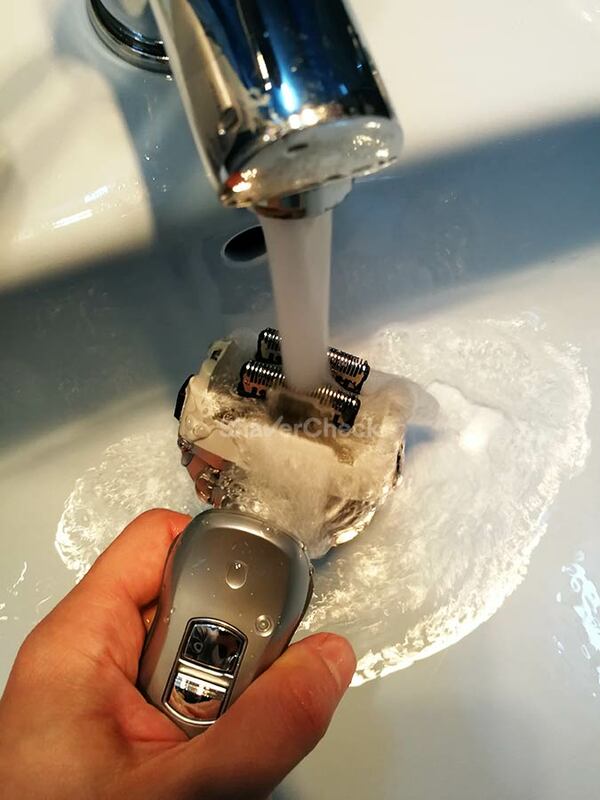 Press the ON/OFF switch again for at least 2 seconds and with the shaver in sonic mode, thoroughly rinse the inner blades with hot tap water. After that shake off any excess water, pat dry with a towel and let the parts air dry completely before assembling and storing the shaver. 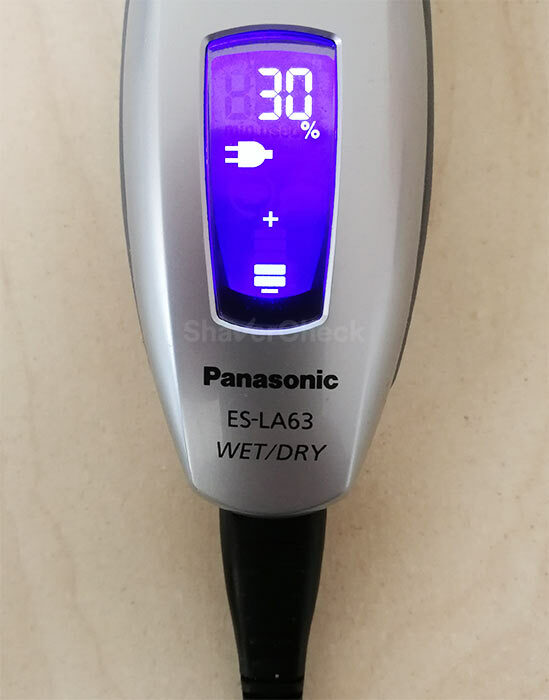 Even though Panasonic didn’t include any lubricant with the ES-LA63-S, it’s very important to do it regularly to prolong the life of the foils and blades and keep the shaver running smoothly. As a rule of thumb, you should place a single drop of light lubricant (clipper oil or sewing machine oil) on each foil after every cleaning that implied the use of soap. That’s because the soap will also eliminate any form of lubrication from the blades. If you don’t clean it with soap, then oiling the blades once a week should suffice. The Panasonic ES-LA63-S uses the WES9025PC foils & inner blades combo. They can also find them separately (part numbers WES9165PC and WES9068PC respectively). The parts are widely available and can be bought online from Amazon or even directly from Panasonic’s website. You should replace them when you notice a drop in performance and comfort. Depending on your shaving habits, this can happen sooner or later than the 12 months period recommended by the manufacturer. Panasonic’s replacement foils & blades have always been pricey and that’s the case here as well. However, you’ll be spending approximately the same money on the replacement parts needed for a Series 7 or 9 from Braun. This review of the Panasonic ES-LA63-S Arc 4 has been mostly positive. Apart from a few minor glitches, the razor performed great. It excels at providing very close, fast and adequately comfortable shaves and does so without the premium price tag of other razors that offer similar performance. So if you’re in the market for a new shaver or even an upgrade to your current one, definitely consider the ES-LA63-S. It works a treat with shaving cream as well and men who shave their heads can use the ES-LA63-S successfully for that. The only situation where I would be a bit wary to recommend it is dealing with overly sensitive skin. If you suffer from ingrown hairs, razor bumps or other serious skin problems, you may be better off with a Braun Series 5 or 7. Which leads us to the last section of the review. The ES-LA93-K is the Arc 4 variation that includes an automatic cleaning station. There aren’t a lot of things to be said about this razor since it’s absolutely identical to the ES-LA63-S, except for the black color treatment of course. Even though I don’t consider the cleaning base necessary in this case, it is still a perfectly viable option, especially since the price of the ES-LA93-K has dropped significantly in the past few years. The station is Panasonic’s older generation Vortex Hydra system. It is very large and looks a bit dated, but it works very well and the cartridges are cheap. Moreover, it has a few useful features, like the ability to just dry the shaver without performing a cleaning cycle. The other razor mentioned throughout this review is another member of the Arc 4 family, the ES-LF51-A. It doesn’t have the second vibrating motor and the shaving head doesn’t have the two-way flexing capabilities of the ES-LA63-S, but it’s still an impressive performer. The shaving head is more compact and for this reason it can be a better option for someone just getting started with electric shaving. Finally, you can often find it at a great discount. The Series 5 from Braun can be a good alternative to the ES-LA63-S if you have very sensitive skin and don’t have the budget for a Series 7 or even a Series 9. It is gentler to the skin compared to the Panasonic, especially on the neck where the ES-LA63-S can be a bit aggressive. There are various Series 5 models available, suitable for wet/dry or dry only use. The 5190cc or the 5090cc are two such models that also come with a cleaning station. For what they have to offer, I would say that the price is excellent. You can opt for the Series 5 5040s, but that one doesn’t include a cleaning station. And in this case I actually suggest getting it as the Series 5 can be fiddly to clean manually. I will however say that the closeness of the shave with the Series 5 is not quite as good as what you’ll get from a Panasonic Arc 4, but there’s always going to be a trade-off in either closeness or comfort and you simply have to pick the razor that makes more sense in your case. I’m going to buy my first Panasonic shaver within a few hours because I need it for Tuesday. Now I have a few questions to ask. After going back and forward between some models I have decided to skip for now the Arc 5 models (I nearly ordered the LV65 but then I thought the price was too high so I’m waiting for a bargain sometime in the future) and my choice is between ARC 3 AND ONE ARC 4 model that fits my budget. They are – ES – LT2N for the Arc3 and ES – RF31 for the Arc4 (the other Arc4 models you suggest are not available in Italy). The Arc3 has 13.000 Cpm and the RF31 10.000 Cpm but even the Braun has 10.000 Cpm so is there a big difference between those 2 models? I’m undecided between 3 or 4 blades. Which would you choose? I have normal hair maybe a bit thick but not much. Between these two I would go for the ES-LT2N without hesitating. The latest iteration of the Arc 3 family (with models like the ES-LT2N, ES-LT6N etc.) is phenomenal and if you can get a great deal on one you won’t be disappointed. I’ve used 10 000 CPM Panasonics in the past and the difference is noticeable compared to a shaver fitted with the 13 000 CPM unit. That one feels faster, smoother and the performance is better. At least for me the 10 000 CPM motor of the RF31 is a deal breaker, I would only go for a 13 000 or 14 000 CPM Arc 4 variation. The motor, along with the great build quality and excellent performance of the ES-LT2N far outweigh any benefit of the RF31’s additional blade. 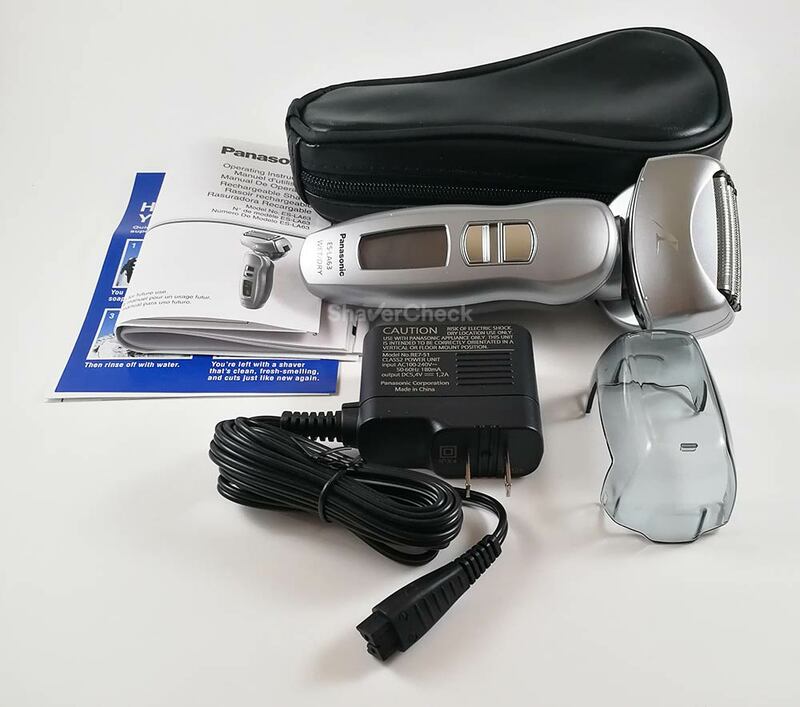 I am interested in replacing my Panasonic wet/dry shaver with the Panasonic Panasonic ES-LT2N-S803 you recommended in January, 2018 above to Barbaro. Is this still your recommendation? If not, which wet/dry shaver would you recommend? Thanks. Can you please tell me what Panasonic model are you currently using? I recommended the ES-LT2N to Barbaro because it was one of the two models he could get, the other one being the less powerful ES-RF31. 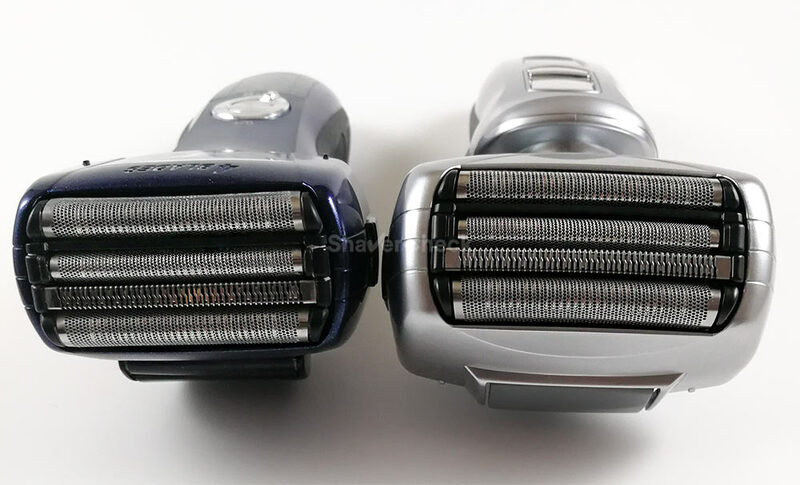 I think the ES-LT2N is a really good mid-range shaver, but after testing it, I didn’t find it to be superior to some of the previous generation Arc 3 models (like the ES-LT41-K for example which is often cheaper). You can check out my review of the ES-LT3N here (it is the black variation, but identical to the ES-LT2N-S in every other aspect). thanks for your suggestion. I ordered the ES – LT2N and will receive it Tuesday. You are very welcome, Barbaro. I hope you’ll enjoy your new shaver. Sorry, I’m still trying to decide and I value your opinion. I am coming from an aging Braun 9585. The parts to make it fresh again (foil & cutter, trimmer assembly, and battery) would run me about $70 and I don’t think I want to go that route. I think I’ve narrowed it down to the Panasonic ES-LA63-S above (which I can get for $99.90 USD) or the Panasonic ES-LV65-S (which I can get for $119.99.) They are only $20 difference. 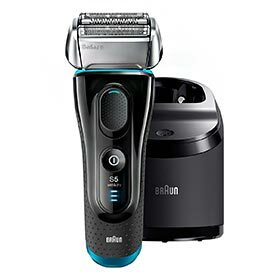 Is the $20 a worthy upgrade to get an Arc5 shaver? My beard is fairly heavy and I don’t like to shave everyday now that I don’t have to (construction.) Also, I almost always shave dry if that helps give a recommendation. Can either of these work while plugged in? I’m guessing no for the safety factor since they are water proof. I would opt for the ES-LV65-S, the current price drop simply makes it the better choice. I own both and I always enjoy shaving with the ES-LV65-S more; it feels faster, more refined and a bit more comfortable during a dry shave. And you are right, none of them can be used while plugged in. 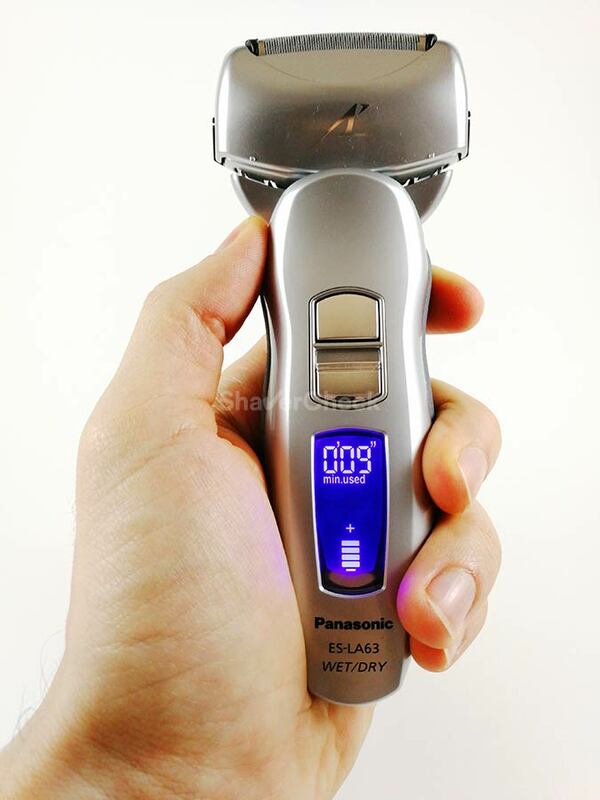 I just inquired about purchasing this shaver from the Canadian panasonic e-store, and received an email stating that the ES-LA63-S has been discontinued and all stock has been depleted. It is still available for purchase on amazon, but I wonder if it is starting to be phased out? Have you heard anything? Kind regards. That is a bit odd as the shaver is still available on Panasonic’s website as well. It is an older shaver (as are all Arc 4 models) and it will eventually be discontinued, but at this moment it still represents a viable option in my opinion. 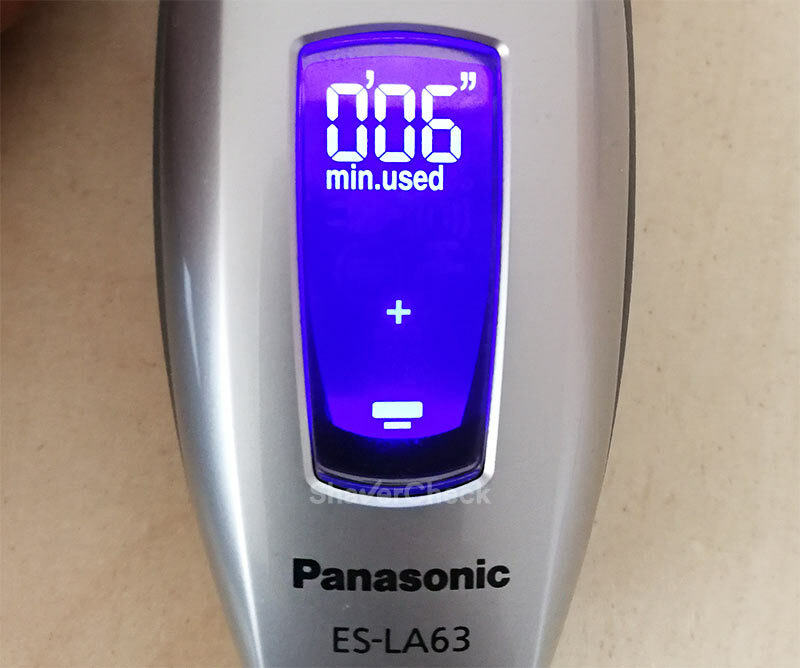 I have sensitive skin so I first brought the Panasonic ES-LA63-s and found out that a dry shave wasn’t good for my skin. I was getting razor burn. So I brought the Braun 9295 and the shave was good but it wasn’t a close shave. Then I tried wet shaving with the Braun 9295 and that’s when I got a close shave with no razor burn. I realized that I didn’t do a wet shave with the Panasonic so when I did that everything was great. The Panasonic shaved closer than the Braun with minimum irritation. My after shave items I use is Palmers Cocoa Butter Formula with Vitamin E and Lubriderm. When I finish shaving my face is smooth to the touch. I have 2 great shavers but I’m using the Panasonic ES-LA63-s for the close shave. Remember wet shaving worked for me. Thank you for the feedback. Panasonic shavers in general work extremely well during a wet shave. This is how I also shave for most of the time, except when I’m in a hurry and I just shave dry with a Series 7 or 9; with those two the shave is not as close, but it’s good enough. Having used a Philips rotary shaver for the last 25 years I purchased the Panasonic ES-LA63-5 while on a visit to my son in North Carolina. This model is not available in Australia and I purchased it at a very competitive price in the USA. It is without doubt the finest shaver I have used and I find foil gives me a lot closer shave. Uncomplicated very easy to clean and no necessity to have a fancy cleaning station. I’m now a complete convert to foil and would never consider using a rotary shaver again. Thank you for your shaver reviews which helped me make the correct choice of shaver for myself. Thank you so much for taking the time to share your experience with this shaver. I really appreciate it. In my opinion foil shavers are the safer choice for most users and I’m glad it was the case here as well. I own the Panasonic ES-LA63 and love it. I’ve had different electric razors over the years, mainly from Braun and Panasonic, and the ES-LA63 is the best. I do my face and head with no trouble and one other big thing I noticed is that it doesn’t make a mess when I’m done. It seems to collect all the trimmings right in the shaver. However, I am having trouble with the trimmer switch. It is on Free and I cannot budge it at all. Any tips? Thank you for your comment. This also happened to me a couple of times and the switch can be a bit stubborn or jerky. I suspect the culprit to be the misalignment of certain components of the mechanism when the head is not perfectly straight. The friction between several parts of the locking mechanism caused by hardened shaving cream, soap, and mineral deposits may also contribute to this. 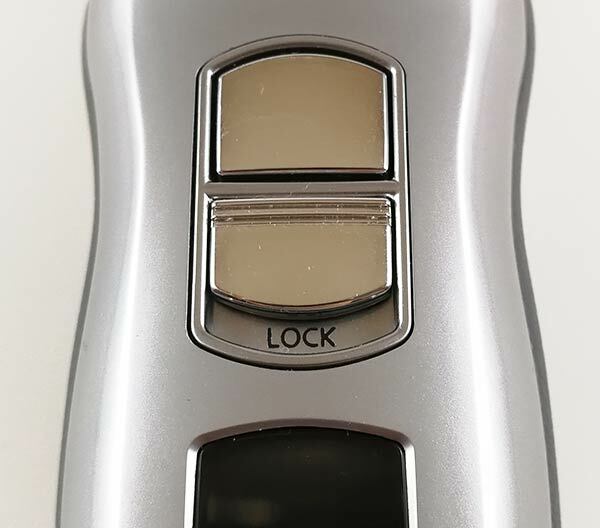 When sliding the switch from the Free to the Lock position, the mechanism locks the head in place, but also brings the shaving head down in the lowest position and straightens it. I’ve noticed that if the head isn’t already in that position the switch can be difficult to operate. Make sure to hold the shaver in a horizontal position, with the trimmer side facing up. Try to move the head down or even wiggle it a bit from side to side. Once it’s in the sweet spot (straight and in the lowest position) the switch should snap into the Lock position.